If I told you that there was a nautically themed Tex-Mex restaurant located near South Street Seaport hidden under the Brooklyn Bridge, you’d probably call me a liar. Sister restaurant to Tortilla Flats (review) on the West Side, it has the same decor sensibility & I imagine a similar raucous late-night atmosphere. We arrived late in the afternoon on a Friday & the place was absolutely heaving. I suspect that it was mainly overflow from South Street Seaport. We got seats at the bar & took a look at the menu. All 3 of us (our ranks included a Tortilla Flats employee) had margaritas on our minds & weren’t disappointed. 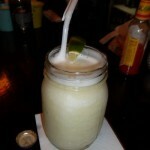 The margaritas here are made with Sauza or Partida & not Jose Cuervo or some other bargain bin tequila. Trust me when I say that this makes all the difference in flavor & how you feel when you wake up the next morning. 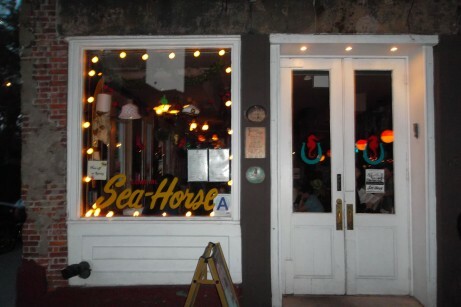 The menu is substantial with tacos, salads, sandwiches and entrees featuring plenty of seafood & Mexican options. The restaurant had a noticeable Spicy Southern smell in the air that just screamed gumbo. Looking down the bar, it seemed like most people were getting in on the act. 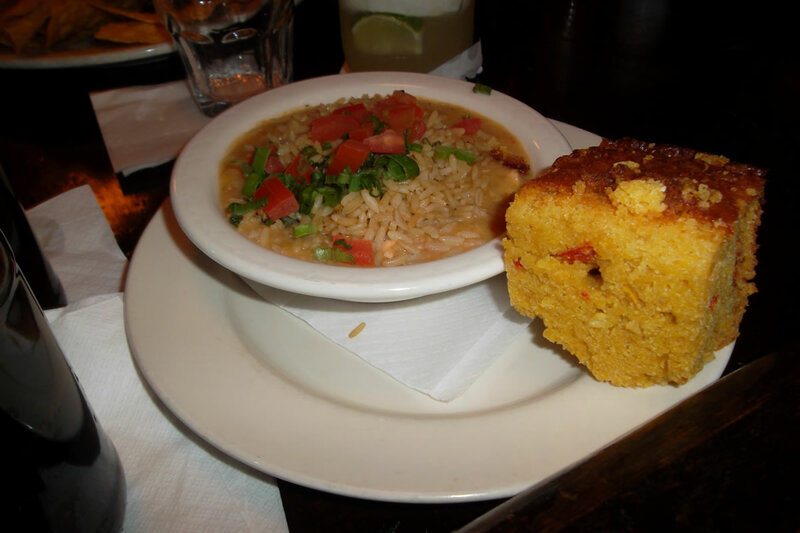 Available in either bowl or cup sizes, chicken, shrimp & Andouille sausage are served over citrus brown rice with a massive piece of delicious cornbread. It smelled utterly amazing (I found myself looking longingly at a nearby plate as I waited for my bowl to arrive) & maybe tasted even better. You have to try this if you eat here. 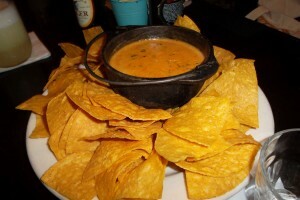 We also ordered the chili con queso. It’s not a complicated dish, but if you’ve had bad queso, you know that it’s horrible if done wrong. 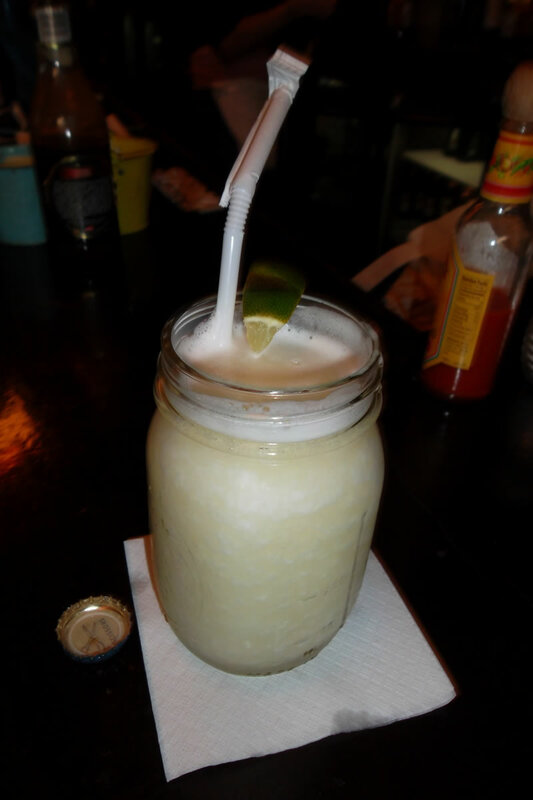 We love this stuff at Tortilla Flats & it was no different here. Simple yet effective. The 3 of us did a double take when we saw Baked Potato Ice Cream on the menu. Obviously we couldn’t resist and were both excited & terrified at the same time. I really had no idea what we were in for. 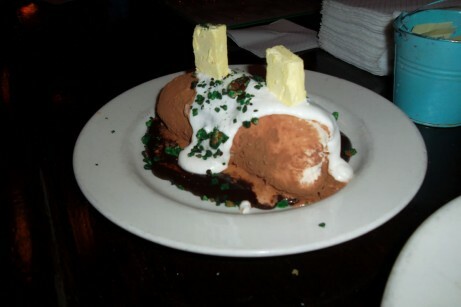 An ice cream log dusted on cocoa forms the potato, banana ice cream is the butter. Sour cream & chives are also in there in sweet forms, it was actually pretty tasty & obviously really creative. 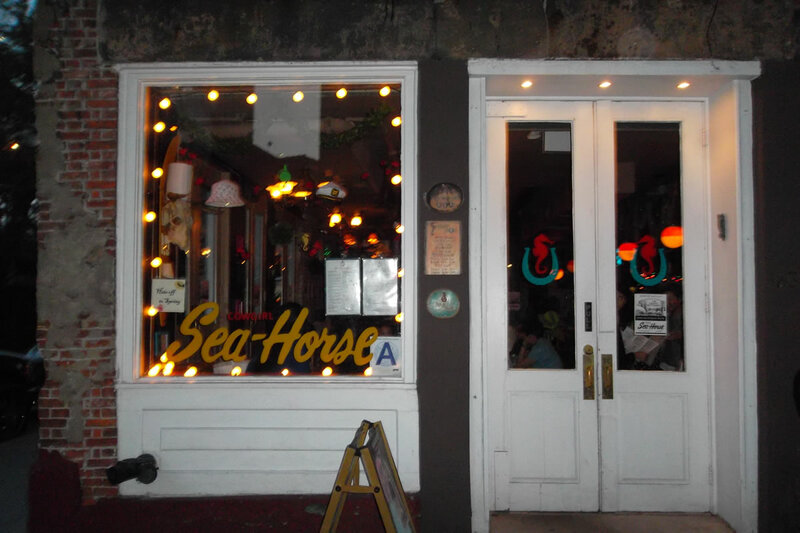 Cowgirl Sea-Horse is worth the trip for the atmosphere & food, but it seems that the bar itself does a brisk business & the margaritas are good (don’t let the machine put you off). It’s a bit off the beaten path, but if you’re in the area I suggest you check the place out.